ANNOUNCER: Welcome to THE MAKING OF A NATION -- American history in VOA Special English. In the years after World War One, new technologies changed America. Technology made it possible for millions of people to improve their lives. It also brought great changes in American society. This week in our series, Harry Monroe and Kay Gallant tell more about the technological and social changes that took place in the United States in the early nineteen twenties. HARRY MONROE: Some of the most important changes came as a result of the automobile and the radio. 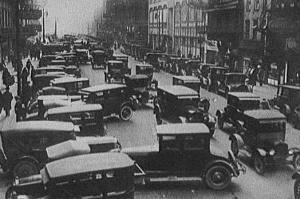 Automobiles began to be mass-produced. They were low enough in cost so many Americans could buy them. Gasoline was low in cost, too. Together, these developments put America on the move as never before. Automobiles made it easy for Americans to travel. Trucks made it easy for goods to be transported. Many people and businesses moved out of crowded, noisy cities. They moved to open areas outside cities: suburbs. KAY GALLANT: As automobiles helped Americans spread out, the radio helped bring them closer together. Large networks could broadcast the same radio program to many stations at the same time. Soon, Americans everywhere were listening to the same programs. They laughed at the same jokes, sang the same songs, heard the same news. Another invention that produced big changes in American life was the motion picture. HARRY MONROE: American inventor Thomas Edison began making short motion pictures at the turn of the century. In nineteen-oh-three, a movie called "The Great Train Robbery" was the first to tell a complete story. In nineteen fifteen, D. W. Griffith made a long, serious movie called "Birth of a Nation." 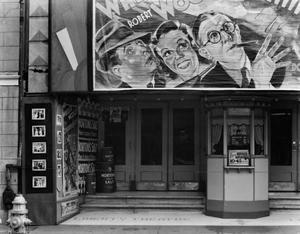 By the early nineteen twenties, many American towns had a movie theater. Most Americans went to see the movies at least once a week. The movie industry became a big business. People might not know the names of government officials. But they knew the names of every leading actor and actress. KAY GALLANT: Movies were fun. They provided a change from the day-to-day troubles of life. They also were an important social force. Young Americans tried to copy what they saw in the movies. And they dreamed about far-away places and a different kind of life. 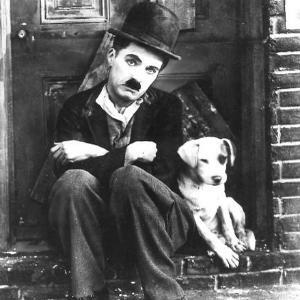 A young farm boy could imagine himself as romantic hero Douglas Fairbanks or comedian Charlie Chaplin. A young city girl could imagine herself as the beautiful and brave Mary Pickford. Rich families and poor families saw the same movies. Their children shared the same wish to be like the movie stars. In this way, the son of a banker and the son of a factory worker had much in common. The same was true for people from different parts of the country. HARRY MONROE: In the early nineteen twenties, Americans also began reading the same publications. The publishing industry used some of the same kinds of mass-production methods as the automobile industry. It began producing magazines in larger amounts. It began selling the same magazines all over the country. One of the most widely-read magazines was the Saturday Evening Post. In nineteen-oh-two, it sold about three hundred thousand copies each week. Twenty years later, it sold more than two million copies each week. Americans everywhere shared the same information and advice in such nationwide magazines. The information was not always correct. The advice was not always good. But the effect was similar to that caused by the automobile and radio. Parts of American society were becoming more alike. They were trying to move toward the same kind of life -- economically and socially. KAY GALLANT: Other industries used the techniques of assembly-line production to make their goods, too. They discovered that producing large numbers of goods reduced the cost of each one. One company that expanded in this way was the Atlantic and Pacific Tea Company. It was called A&P for short. The A&P was one of the first large American grocery stores to sell all kinds of food. It sold milk, meat, bread, canned fruits, and vegetables all in the same store. Shopping at the A&P was much faster and easier than going to different stores to get different kinds of food. In nineteen twelve, A&P had four hundred stores in the United States. About ten years later, it had more than eleven thousand stores. It could buy huge amounts of goods and sell each at a very low price. HARRY MONROE: Mass production also came to the clothing industry. People began wearing clothes made in factories, instead of by a family member or local tailor. Before long, the same kinds of clothes could be found everywhere. Mass production removed some differences that had marked Americans in the past. Prices dropped, so people with little money could still buy nice clothes. It became more difficult to look at Americans and know by their clothes if they were rich or poor. KAY GALLANT: Social changes also resulted from great progress in medical research. Doctors and scientists reported new developments in the fight against disease. This progress gave most Americans a longer life. In nineteen hundred, for example, the average person in the United States could expect to live forty-nine years. By nineteen twenty-seven, the average person could expect to live fifty-nine years. HARRY MONROE: Life expectancy rates climbed, because doctors and scientists developed effective ways to prevent or treat diseases such as tuberculosis, typhoid, diphtheria, and influenza. Yellow fever and smallpox were no longer a threat. One new medicine was insulin. It was used to treat diabetes. A man-made version gave diabetics the insulin their bodies did not have. It cut the death rate from the disease from seventy percent to about one percent. Doctors and scientists also learned the importance of vitamins to good health. Now they could cure several diseases caused by a lack of vitamins. KAY GALLANT: Americans in the nineteen twenties lived much better than their fathers and mothers. A man received more pay than in the past, even though he worked fewer hours each day. He lived in a better house with new labor-saving devices. He had a car to drive to work and to take his family on holiday trips. He received a better education than his father. He and his family wore better clothes. They ate healthier foods. The average American in the nineteen twenties had more time for sports and entertainment. He enjoyed listening to the radio and watching movies. He was more informed about national and world events. HARRY MONROE: Life was good for many Americans as World War One ended and the nation entered the nineteen twenties. Yet that life was far from perfect. Many Americans did not have the same chances to improve their lives. Black Americans continued to suffer from racism. Society continued to deny them their rights as citizens. Women did not have equal rights, either. For example, they could not vote. It was during this time that the United States experienced one of its worst incidents of public hatred. Many people turned strongly against labor unions and leftists. They feared a threat to democracy. The federal government took action against what it called political extremists. Many of the charges were unfair. Many innocent lives were harmed. ANNOUNCER: Our program was written by Frank Beardsley. The narrators were Harry Monroe and Kay Gallant.